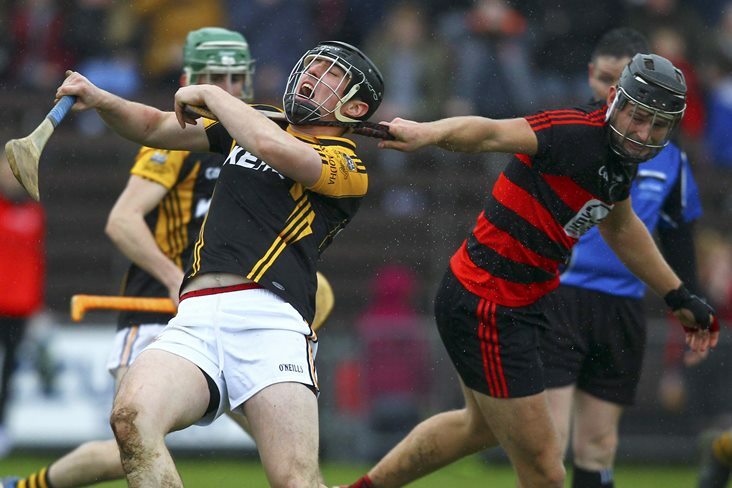 Two periods of extra-time were needed to separate Ballygunner and Ballyea in an epic Munster club SHC semi-final at Walsh Park. At the end of 90 pulsating minutes, Ballygunner were three points winners as they progressed to their third provincial final in four years against holders Na Piarsaigh. A last-gasp Philip Mahony goal forced extra-time for Fergal Hartley's men who eventually prevailed in a game neither side deserved to lose after they had been level nine times. With Pauric Mahony firing five points, the home side led by 0-7 to 0-4 after 18 minutes, but three points from Niall Deasy and a goal from the same player in the 29th minute sent Ballyea into the break with a 1-9 to 0-9 lead. The Clare champions doubled their advantage on the restart thanks to points from Tony Kelly, Martin O'Leary and county footballer Gary Brennan before a Conor Power goal at the end of third quarter revived Ballygunner's challenge. Three more Pauric Mahony points had edged Ballygunner 1-17 to 1-15 ahead before the lead changed hands once again in the 57th minute when Deasy crashed home his second goal. However, Mahony's late major made it 2-17 apiece at the end of normal time. The sides were still deadlocked on 2-23 apiece at the end of first 20-minute period of extra-time, with Deasy levelling from a '65 with the last puck. Another 10 minutes was required, during which Ballygunner scored three unanswered points per Barry O'Sullivan, Pauric Mahony and substitute Conor Sheehan to win a titanic battle. Ballygunner - S O’Keeffe; E Hayden, B Coughlan, I Kenny (0-1); Philip Mahony (1-0), W Hutchinson, B O’Keeffe (0-1); H Barnes, S O’Sullivan; Pauric Mahony (0-13, 8f), P Hogan (0-1), Brian O’Sullivan (0-3); T O’Sullivan, M Mahony, C Power (1-2). Subs: Barry O’Sullivan (0-4) for M Mahony, JJ Hutchinson for B O’Keeffe, S Power for T O’Sullivan, T O’Sullivan for S Power, S Power for M Mahony, B O’Keeffe for W Hutchinson, C Sheehan (0-1) for P Hogan. Ballyea - B Coote; J Neylon, B Carrigg, B O’Connell; J Murphy, J Browne, A Keane; T Lynch (0-2), T Kelly (0-3, 1sl); P Lillis (1-2), N Deasy (1-10, 0-4f, 0-1'65), C Brennan; M O’Leary (0-4), G Brennan (0-2), R Griffin. Subs: E Donnellan for R Griffin, G Flynn for B Carrigg, A Griffin for C Brennan, C Brennan for A Griffin, B Casey for B O’Connell, C Brennan for A Griffin, D Sheehan for J Neylon.